Moonlight dancing across Lake Huron waters serves as an ageless and effortless transition from modern deer hunting to a 1926 deer hunting camp not far from Lake Huron to a prehistoric Paleo-Indian caribou hunt along the Alpena-Amberley ridge, an ancient causeway now under 20 fathoms of water, stretching from what is now Alpena, Michigan to Amberley, Ontario. Lake Huron moonlight provides atmosphere and imagination and transition enough to visit each hunt and hunter. When modern Lake Huron deer hunters congregate deer don’t necessarily follow. A modern deer hunter sits on the Lake Huron beach, staring at the imaginary buck silhouetted against the moon. He sighs, thinking of his unfruitful day. In his imagination, he fashions a bow and arrow from the moonlight dancing across the water, conjures a rifle into his hands, and aims at the silvery buck. Besides modern technology, modern research studies have transformed the primitive caribou drives of the Paleo-Indians and the hit or miss hunting camps of the early twentieth century into deer hunts that can be combinations of intuitive. educational, and scientific methods. Deer hunters have long contended that the phases of the moon determine the movements of deer, including the belief that days before, during, and after a full moon deer move less frequently and that deer feed on bright moonlit nights and don’t feed on dark nights. Based on twenty years of research, including monitoring moon phase, barometric pressure, wind speed, and sky conditions Dr. Robert Sheppard reports that initial study results supported the belief that the days before and after the full moon were not productive days to harvest deer, but later results directly contradict that idea by illustrating that the days before and after the full moon were some of the best days to hunt deer. A multivariable analysis revealed the moon phase as a marker but not the cause of deer movement, but that temperature turned out to be the overriding factor in deer movement. In his book Whitetails, Dr. Sheppard discusses the study and its possible impact on deer hunting and hunters. Other studies include Generation of White-tailed Deer (Odocoileus virginianus) Forage/Browse and Cover Estimates from Michigan Landuse/Landcover Data by Marshall Strong and an extensive study of whitetail breeding seasons conducted by wildlife biologists from eight state fish and game agencies including Maine, Michigan, and Minnesota as well as three universities. An article in Outdoor Life Magazine contends that scientists generally agree that the shortening of the days is the trigger to the breeding season, with secondary factors that include hunting pressure, local weather, habitat, and lunar phases. Studies by biologists Dr. Kent Kammermeyer and Dr. Larry Marchinton show that deer movement changes from morning to night as summer fades into fall and the rutting season opens. The studies show that fall deer movement spikes from 4:00 p.m. to 10 p.m. and from 4:00 a.m. to 8 a.m. Expert deer hunter T.R. Michels writes about his personal experiences with nighttime deer movement in his book Whitetail Addicts Manual: Proven Methods for Hunting Trophy Whitetail. He says that many hunters are aware that they see deer most frequently at dawn and dusk, but they don’t realize that deer rest in wooded areas during the day, get up near sunset, and move from the woods into the fields after sunset. During favorable weather, deer often eat and rest during the night and then around sunrise leave the fields to return to the woods and their bedding areas. He reminds deer hunters that understanding deer movement at night is essential for successful deer hunting. He points out some interesting facts including if deer see vehicles parked on logging or country roads, they probably won’t use adjoining trails or return to bedding areas because of the intrusive vehicles and if hunters use their trucks to cross fields near the woods deer would avoid the area because of the truck noises and headlights. He cites several different studies on daily deer movements as showing that in fall deer are most active at night around dawn and dusk and from 12-2:00 a.m. A December 3, 2013, story by Alpena News Staff Writer Jordan Travis reported the 2013 deer statistics for Northeast Michigan’s firearm season from the Michigan Department of Natural Resources. Although Michigan Department of Natural Resources numbers showed that hunters brought fewer deer to local check stations, they reported seeing goodly numbers of deer, including 2 ½ year and older bucks. There were 810 deck checked in early December, compared to 936 at the same time in 2012 and an average of 887 from 2010-2012. After meditating on modern deer hunting, the hunter sighs and stares again at the moonlight on Lake Huron. Maybe he should have been born in his grandfather’s time and hunted then. In the grandfather days of the modern hunter, two young men sit in front of a campfire at Hubbard Lake, about thirty miles southwest of Alpena. They have traveled far to experience the wilderness and the firelight etching paths on the water. After spending the night in Saginaw, they traveled north along the Lake Huron shore and in Spruce, a small town about thirty miles from Alpena, local residents gave them directions to Hubbard Lake. Located in northern Alcona County about thirty miles southwest of Alpena, Hubbard Lake is the source of the South Branch of the Thunder Bay River, where a dam helped regulate the flow of timber to Lake Huron at Alpena. After some strenuous traveling through what seemed like endless trails through the cedar forests, and encountering deer crossing the trails, they arrived at the Fruchey Ranch where a couple, old Tommy and his wife, directed them to a camp site on the edge of a cedar swamp with a stream of good water suitable for a camp site a short distance into the swamp. Using the “Puddle Hopper’s headlights as a beacon, Chester and Elton made their way to the stream, collected a pail of water, cooked a supper of meat and potatoes and made a bed on a tarpaulin in their tent. The next morning Chester and Elton surveyed the scenery around their camp. To the north and to the left and right of their camp site stretched a dense, green cedar swamp as far as they could see. To the west they saw rolling plains spreading over frost brown rough country, dotted with scrub pine. From the top of the hill in back to the south and east lay the fertile valley of the Little Wolf and Magin Rivers featuring grassy pastures and densely wooded timber lands of hard wood hills just showing on the horizon. The awed campers admired the country while they celebrated the opening day of partridge season. Over the next few weeks they improved their camp and enjoyed the benefits of outdoor life. Halloween ushered in the last day of partridge season and Chester and Elton decided to celebrate by spending the weekend in Alpena. They nearly broke their necks at the roller skating rink since neither of them had skated since they were children. By Monday they were back in camp to wait out the two weeks for deer season to open. While they waited, they familiarized themselves with the surrounding countryside, picked out the best runways for deer, killed an occasional rabbit and traveled back and forth to Alpena. The weather grew colder and colder and by November 5, 1926, a foot of snow blanketed the ground, blanketing the swamps and lowlands. Chester and Elton spent most of their evenings in camp by the fire, smoking their pipes, listening to the voice of the wind, throwing their hunting knives at a board at one end of the dugout and dreaming of the many deer they had seen before the season officially opened on November 15, 1926. A few weeks later the weather warmed up and rain melted off most of the snow, leaving the trail full of deep mud. One night the clouds rolled away leaving bright moonlight. One of the hunters suggested going up into the hills to shoot dear by moonlight. Chester didn’t want to go, but Elton liked the idea and took off in the Puddle Hopper. Chester heard Elton come back about 4 o’clock in the morning, but he went to bed without discussing his moonlight hunt. The next morning Elton told his brother Chester that the Puddle Hopper was stuck in a mud hole about a mile from camp and they both grabbed a shovel and axe and hurried to rescue it. It lay buried up to the axles with all four wheels frozen in a solid cake of mud. Working with the shovel, axe, and pry pole, the brothers finally got the Puddle Hopper loose and pried it up on solid ground. About noon, they drove it into camp with a hearty appetite for lunch. The brothers hunted for four more days and one day after dinner, Chester nearly got his buck. He had made his way a few rods from camp when a doe dashed out of the swamp, running up the ravine directly toward Chester with a buck following close behind. When they had reached to about ten yards of Chester, they turned broadside to him in the clearing. Chester drew a bead on the buck. Suddenly, a hunter on Chester’s left shot first and the buck jumped. Chester jumped too, causing his shot to go wild. Chester’s bullet plowed a furrow of hair from the buck, which inspired the buck to bolt away. That was as close as Chester or Elton came to bagging a deer that season. The hunters crouched silhouetted against the moon clutching their spears, frozen in a taut listening posture. Just fifteen in number, their families in double numbers waited for the food and clothing that the caribou hunt would provide. 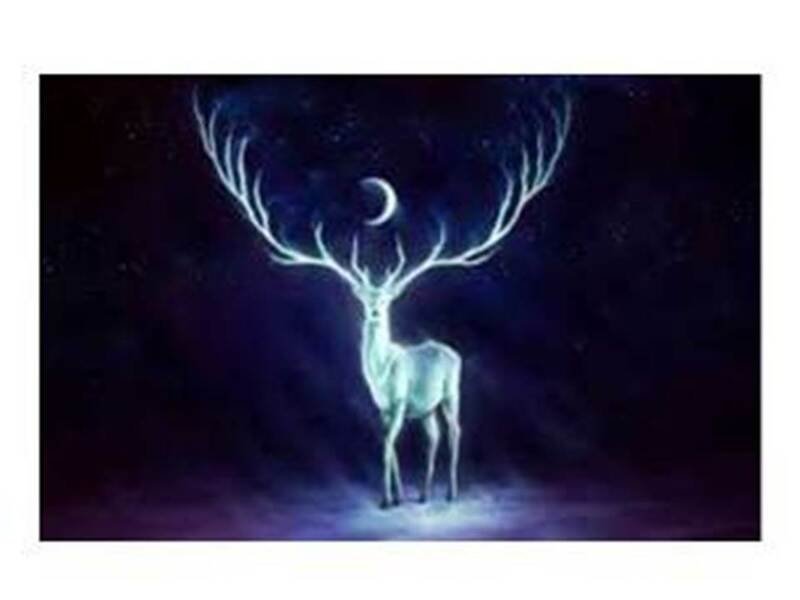 The hunters could not explain the fact that caribou were missing a Circadian clock” to regulate their sleep wake cycle and metabolism, but they knew that the caribou roamed by the light of the moon as well as in bright sunlight. Patiently they waited, their spears ready to fly to their targets. The Paleo-Indian caribou hunters took as many hunting opportunities as they could on the Alpena-Amberley Ridge. The Alpena-Amberley Ridge, labeled Six Fathom Shoal on older nautical charts, is a limestone and dolomite ridge about 100 miles long and 10 miles wide, which from 9,800 to 7,000 years ago, formed a dry land corridor dividing the modern Lake Huron Basin into two separate lakes and linking northeast lower Michigan with southwest Ontario. Some scientists and anthropologists believe that during this era of low water levels-some 250 feet lower - the Alpena-Amberley Ridge served as a natural caribou migration route featuring a subarctic environment of tamarack, spruce, and wetland from what would eventually become modern northern Michigan to the Canadian Arctic. In turn, generations of Paleo-Indian hunters used this corridor to hunt the massive herds of caribou for more than 1,000 years. When the glaciers melted at the end of the last ice age, the rising waters covered the Alpena-Amberley Ridge and the evidence of Paleo-Indian hunts. It took Dr. John O’Shea, the Emerson F. Greenman Professor of Anthropological Archaeology at the University of Michigan, and his team of scientists to uncover that evidence. They speculated, hypothesized, and finally explored the underwater ridge and Dr. O’Shea suggests that the caribou herds at least equaled the thousands of animals making up modern caribou herds in the Canadian Arctic. He also suggests that the Paleo-Indians who gradually moved onto the land that the retreating glaciers slowly exposed made good use of the caribou. He and his team of explorers have discovered more than 60 stone edifices now 121 feet under Lake Huron that he believes the Paleo-Indians used as hunting blinds. In 2009, Dr. O’Shea and his team discovered rock features on the bottom of Lake Huron that they believe Paleo-Indians fashioned to herd migrating caribou into narrow corridors optimal for spear hunting. An Alpena News Story by Patty Ramus dated June 3, 2010, reported the three way collaboration between The Thunder Bay National Marine Sanctuary, the University of Michigan, and the National Oceanic and Atmospheric Administration in conducting multi-beam sonar mapping of the Alpena-Amberley Ridge about sixty miles off the shore of Lake Huron near the Canadian border. The scientists planned to use the data collected to develop a detailed map of the lake bottom and use it to explore the lake bottom to look for evidence of ancient caribou hunters who guided animals into kill areas that they had constructed of stone. The Proceedings of the National Academy of Sciences published the initial findings of the scientists in April 2009, and the University of Michigan began negotiating with the marine sanctuary about conducting a multi-beam sonar survey to create the detailed map. According to Dr. O’Shea, several organizations, including the state and federal fisheries researchers were interested in the data to use to build new models for predicting fish populations. Dr. O’Shea and his team spent the next four years refining their research and conducting further sonar and diving expeditions. An April 28, 2014, article, appearing in the Proceedings of the National Academy of Sciences, reported that Dr. O’Shea who is also Curator of the University of Michigan’s Great Lakes Division of the Museum of Anthropological Archaeology, and his team of scientists discovered other evidence of Paleo-Indian caribou hunters, including drive lanes and wooden artifacts that suggest these hunters approached their prey differently in different seasons. Caribou heading north in the spring marched into a manmade ambush. Because they knew that caribou naturally follow lines, the hunters built two parallel lines of boulders about 26 feet wide and 100 feet long, ending at a natural stone wall. In the meantime, the hunters hid in another group of stone hunting blinds they built along the lanes. According to researchers, the ground was littered with debris from manufacturing or repairing stone tools, possibly spear points. In the fall, caribou heading south along the land bridge would have run straight into a cluster of stone hunting blinds. The underwater evidence also attests to the seasonal pattern of the hunter’s lives. According to Dr. O’Shea, people probably didn’t live on the land bridge, but in the spring families would gather at the drive line, which would take15 or 16 hunters to operate efficiently. He said that 15 or 16 doesn’t sound like a large number of people , but if the Paleo-Indians lived in small family groups most of the year, it is a significant number and people would have socialized as well as hunting. He believes that these hunters lived long before modern aboriginals in the shadow of retreating glaciers and that they were a hunting and gathering people who felled caribou in small groups in the fall, dug in snug and lived off food caches and animals like beaver in the winter before they gathered for the big hunt in the spring. Dr. O’Shea believes that there are many more under water sites in the Great Lakes like the ones he and his colleagues discovered untouched for thousands of years. ”None of it would have survived if it had been on land. This is the only place you could find this evidence. It’s hard to find, but there’s no other place you could find it,” he said. An Early Paleo-Indian Site Near Parkhill, Ontario. Canadian Museum of Civilization, 2000. Armbruster, Ann. Lake Huron: True Books: Geography: Great Lakes. Children’s Press, 1996. Fisher, Daniel C. “Mastodant Procurement by Paleoindians of the Great Lakes Region: Hunting of Scavenging? “from The Evolution of Human Hunting. New York: Plenum Press, 1987. Hill, Mark Andrew. The Benefit of the Gift: Social Organization and Expanding Networks of Interaction in the Western Great Lakes Archaic. International Monographs in Prehistory, 2012. Johansen, Bruce. The Native Peoples of North America; A History. Rutgers University Press, 2006. Prehistoric Stone Walls Found Under Lake Huron. Caribou Hunters Beneath Lake Huron. Ashley Lempke.